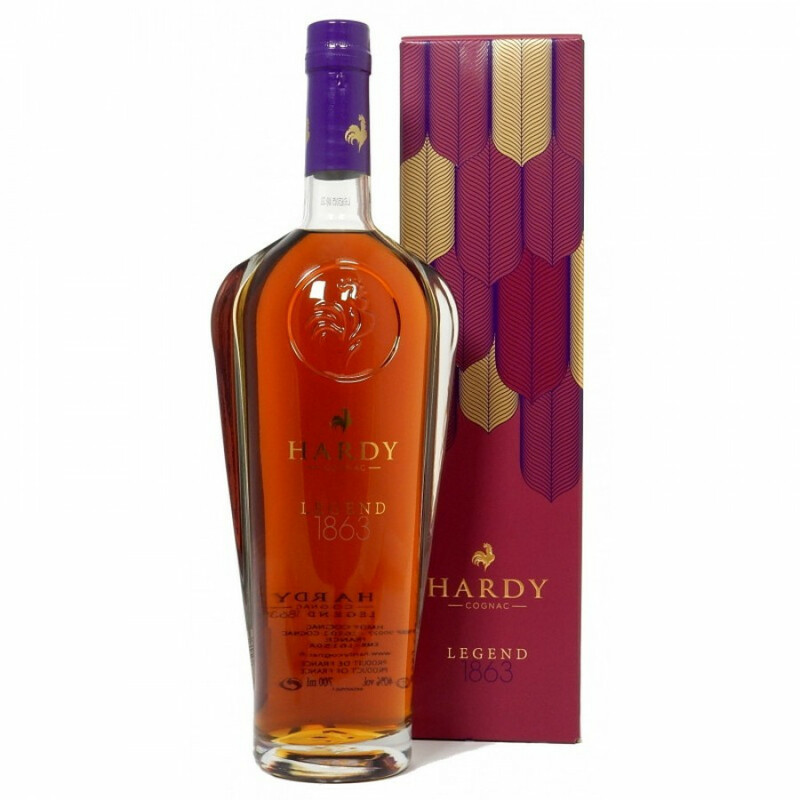 With a name that references the year in which the house of Hardy was born, the Hardy Legend 1863 Cognac is a vintage delight that offers exceptional value for money for such a quality. A deep color, this is a truly versatile cognac that can be enjoyed in many ways: as a digestif after a good meal, or for the adventurous, drop in a block of ice or a few drops of water to enjoy the subtle differences in both aromas and flavor this brings. The bottle itself is striking, and of course features the emblem of the house - the iconic French cockeral. A great cognac to include in any drinks cabinet, and one that will also be appreciated as a gift for anyone who loves great cognac. Great nose, great price.. finish is a bit "direct"